Astronomers using the ultraviolet vision of NASA’s Hubble Space Telescope have captured one of the largest panoramic views of the fire and fury of star birth in the distant universe. The field features approximately 15,000 galaxies, about 12,000 of which are forming stars. 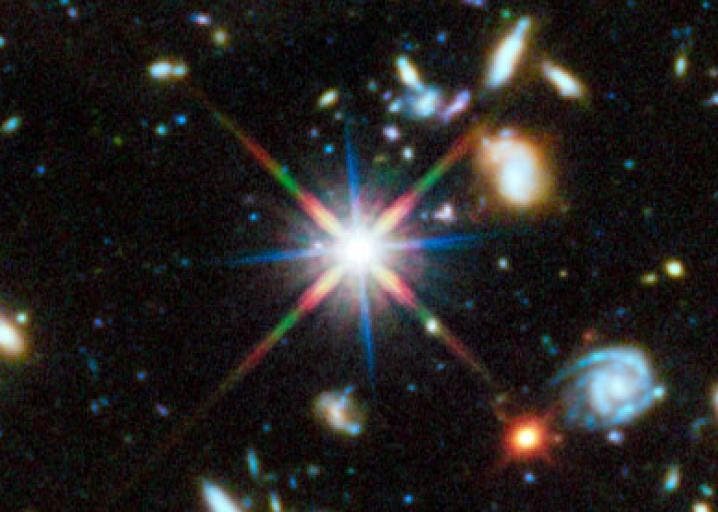 Hubble’s ultraviolet vision opens a new window on the evolving universe, tracking the birth of stars over the last 11 billion years back to the cosmos’ busiest star-forming period, which happened about 3 billion years after the big bang.